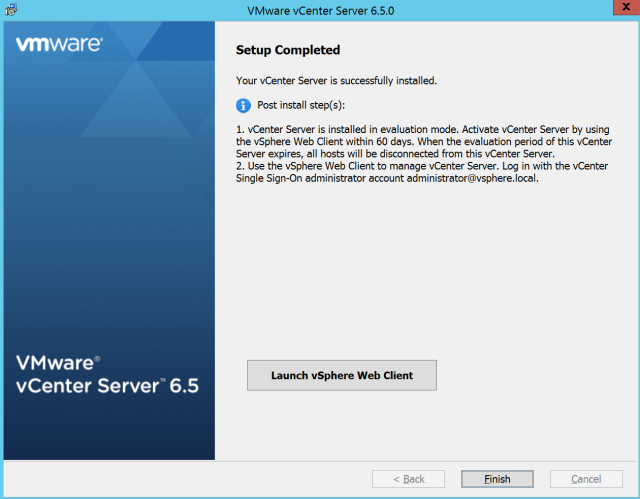 This guide will walk you through the steps to install and configure VMware vCenter Server 6.5 and its High Availability (VCHA) cluster. 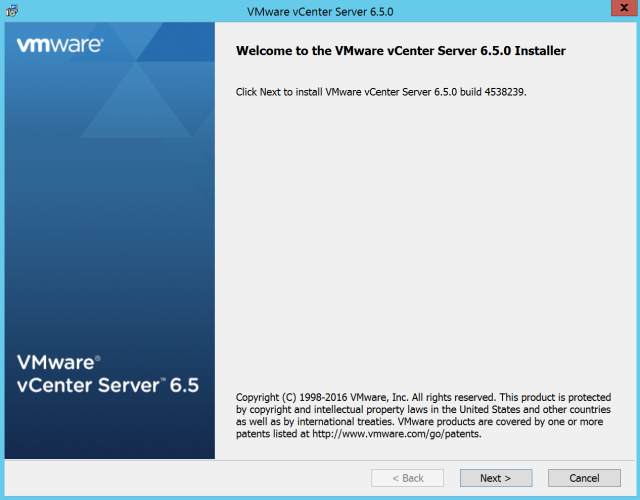 Please go through the vSphere 6.5 installation and configuration guide if you have missed any step prior to installing vCenter Server 6.5. 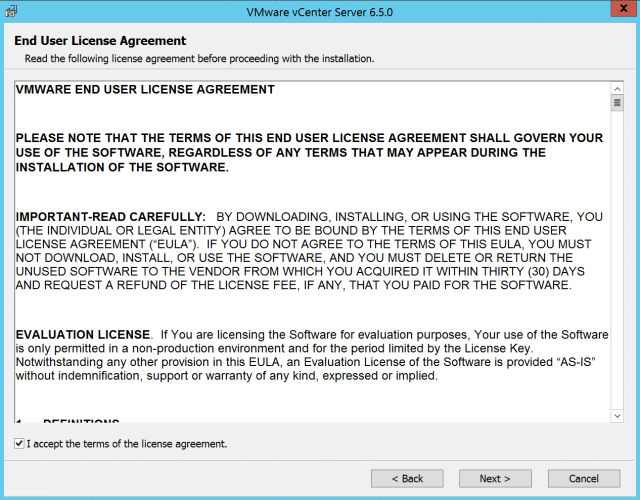 I'll be using an external SQL Server version 2014 for my vCenter 6.5 installation. You are free to choose whatever database suits your environment. If you are leazy enough, you may consider using the following script to install the database and configure its login, permission etc. This script includes configuration method of database schema to make it easy for you. 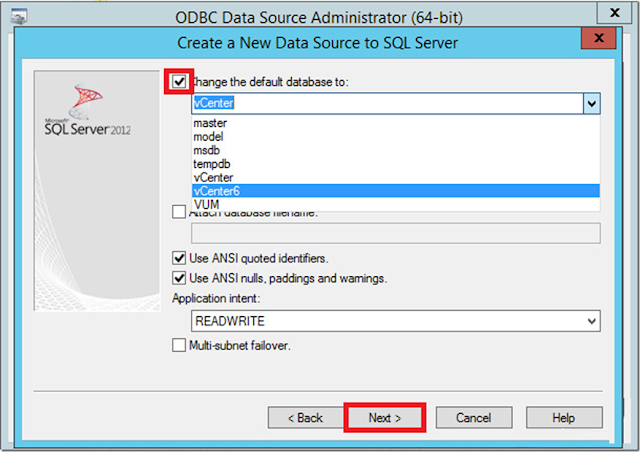 This script will automatically create a SQL Server Database for vCenter Server 6.5. You must change the red highlighted contents of the script. The following script will automatically create Database Roles and the VMW Schema and Database Permissions. 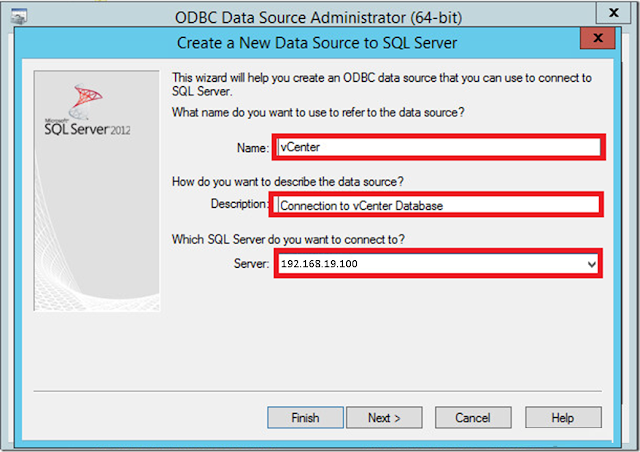 The following script will automatically create a vCenter Server User by using the dbo Schema and db_owner Database Role. 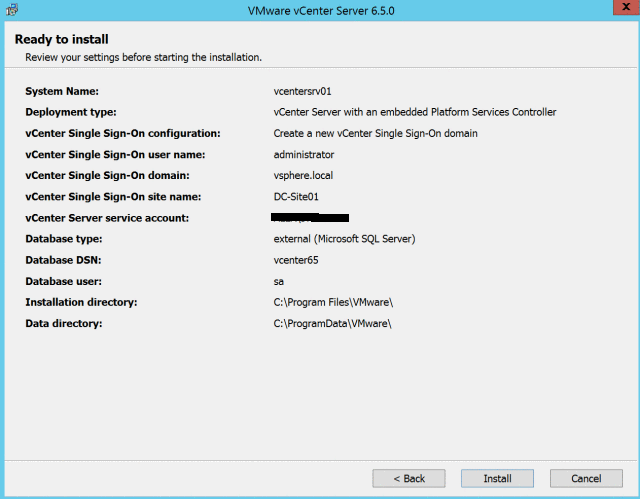 vCenter 6.5 installation require a 64-bit Data Source Name (DSN) if you are connecting to a remote SQL database. 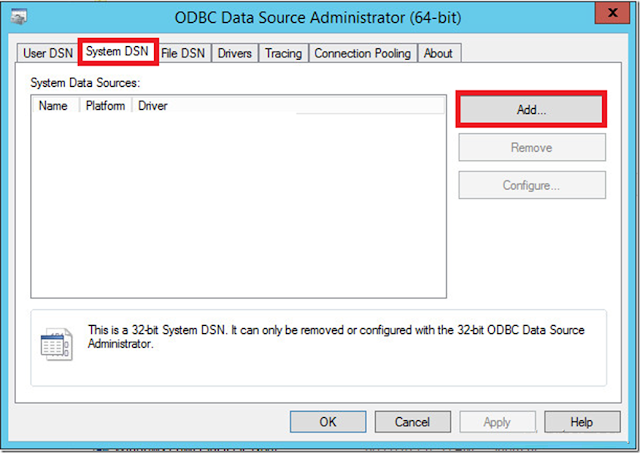 Following steps will walk you through to set up 64-bit DSN quickly. 4. Select the ‘System DSN’ tab. 6. 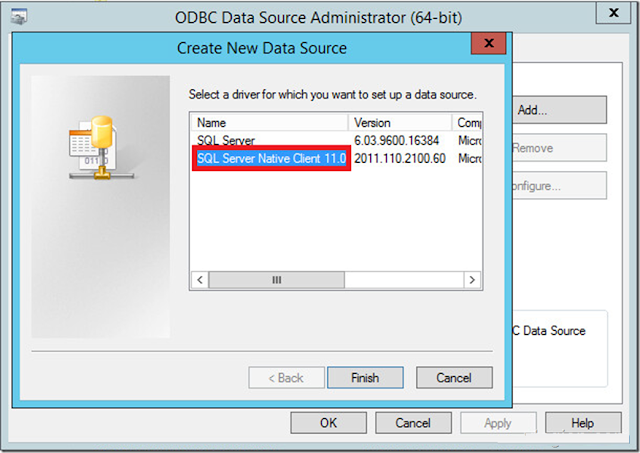 Once ‘SQL Server Native Client’ is available, select it and click ‘Finish’. 7. Choose a name for the data source. I keep mine as descriptive as possible. ‘vCenter’ would be easy to remember what the data source will be used for. 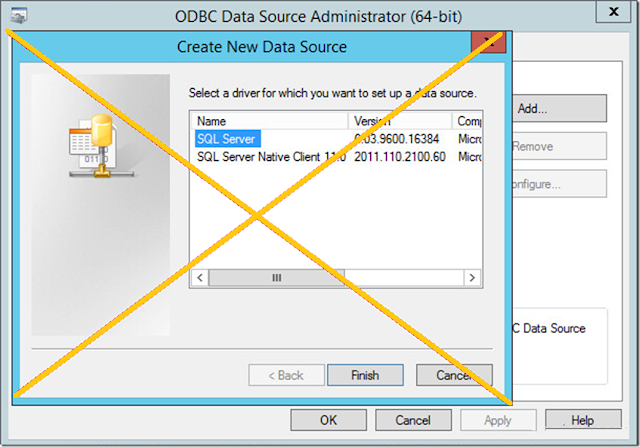 Add a description (optional), and input the ‘Server’ the database is located on. 8. Select the authentication used by the database. 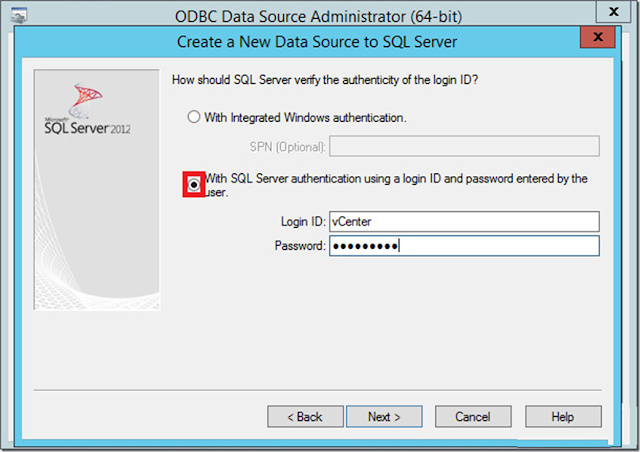 I used SQL Server Authentication. 9. 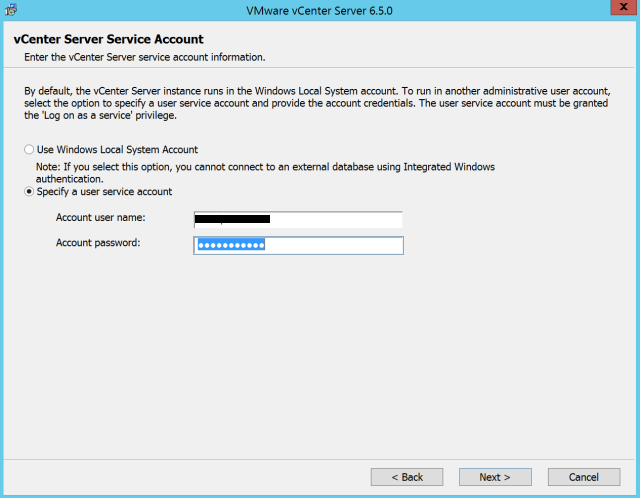 Tick ‘Change the default database to:’ and select the specific database on the database server that will be used by vCenter 6.5. Leave the rest as defaults. Click ‘Next’. 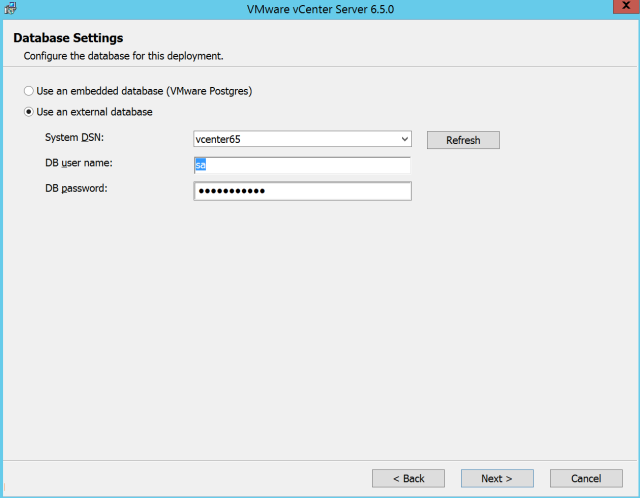 Now, we have a 64-bit DSN that can be used to install vCenter Server 6.5 with a remote database. 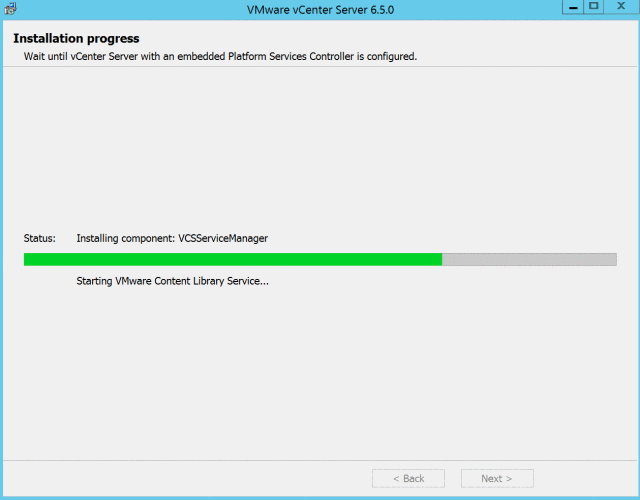 The vCenter 6.5 installation wizard starts. 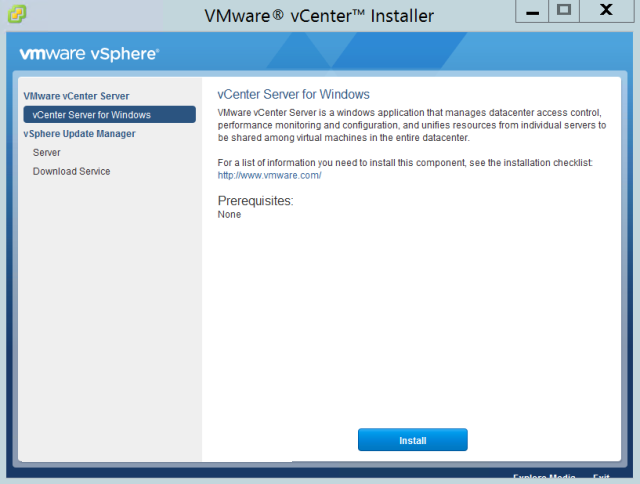 In the left pane of the screen select “vCenter Server for Windows” and Click Install. 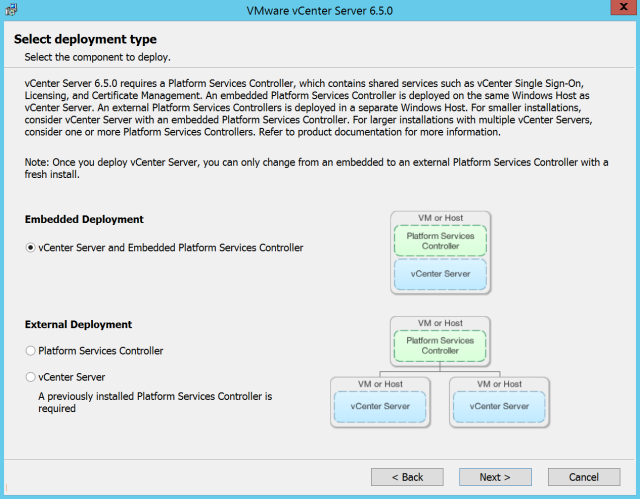 On the Select Deployment type screen, choose “Embedded Platform Services Controller” and Click Next. Note: The system name can not be changed once installation completed. Verify the “System Name” and it should a valid FQDN then Click Next. 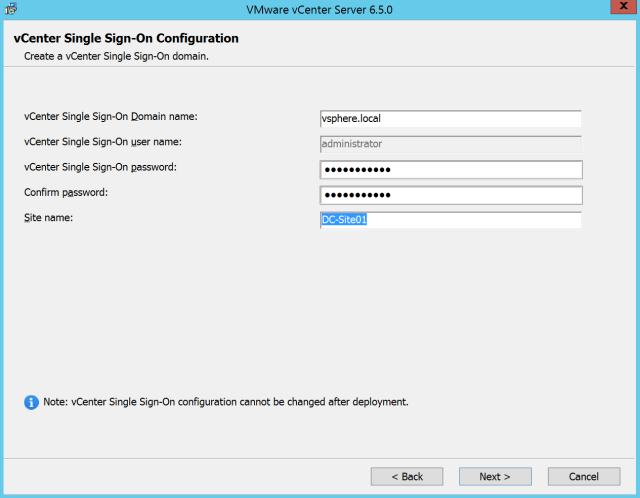 On “vCenter Single Sign-ON Configuration” screen, provide vCenter Single Sign-On domain name, (default is vsphere.local), “Password” for administrator user and “Site Name” then Click Next. 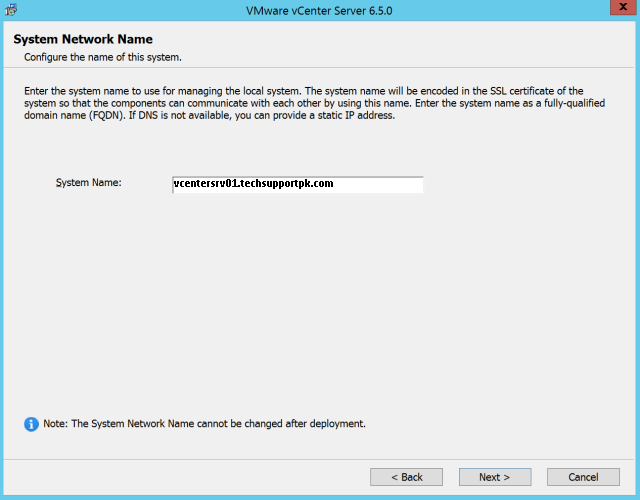 On the “vCenter Service Account” screen, select “specify a user service account” and provide the username example Domain\username and the password for service account and Click Next. On “Database Settings” window, select “Use an external database” and provide the DSN name, DB username and password then Click Next. 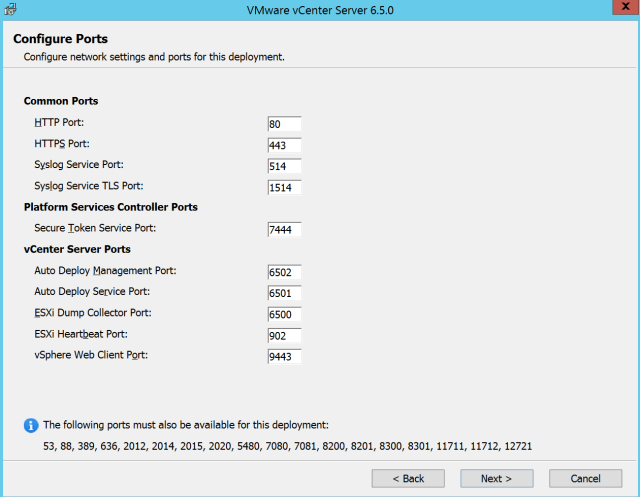 On “Configure Ports” screen, verify the default ports then Click “Next”. 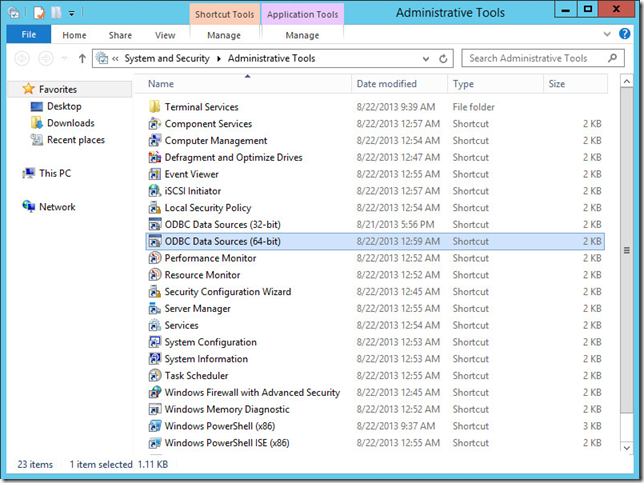 On the “Destination Folder” screen, change the destination folder if necessary and Click Next. On ready to Install screen, review your settings, if all fine then Click Install to start installation process. Wait while the installer is loading its components. 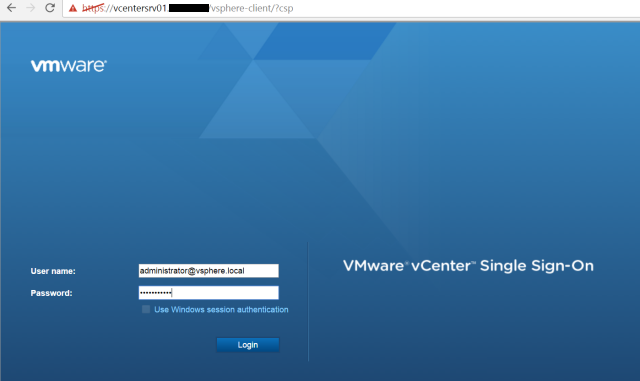 Once the installation completed, Click Launch vSphere Web-Client, then Click Finish. The following screen shows that the login to Web-Client is successful. 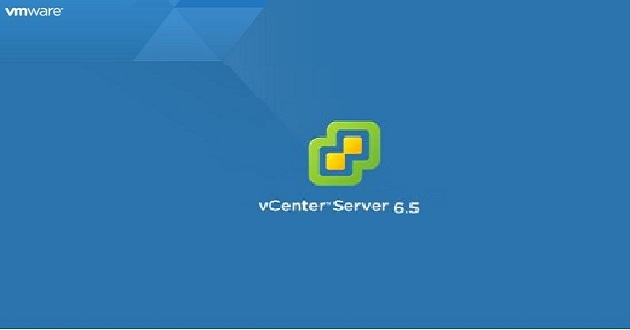 We have completed vCenter Server 6.5 installation. 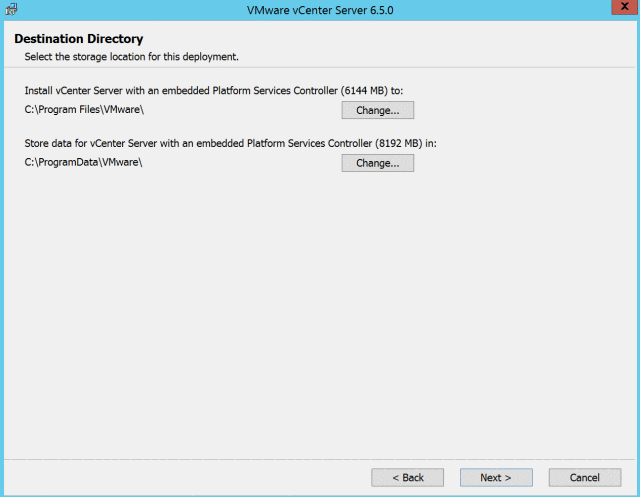 In the next part of this article, we'll demonstrate how to deploy vCenter Server 6.5 Appliance with embedded PSC. 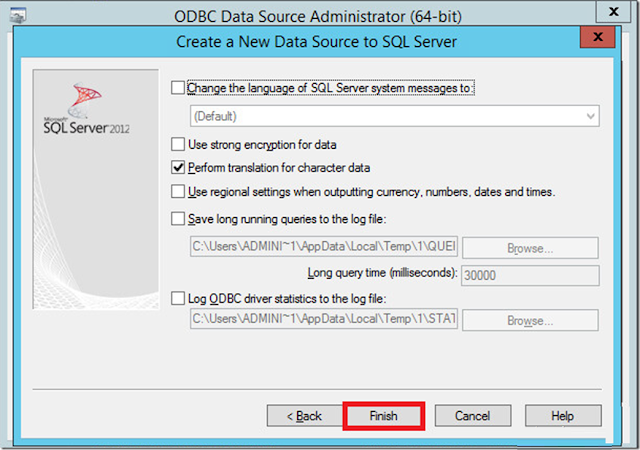 Finally got ODBC working following steps you have mentioned in this article. Your step by step guide really time saving. I have done everything exactly according to your guideline but unable to launch web-client at the end.........don't know where to resolve? Very well written, covered almost everything. Can we use existing oracle database instead of builtin SQL?